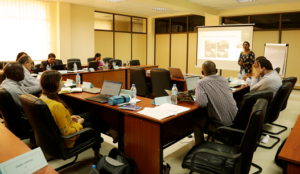 (Dar es Salaam) Partners in a study dubbed Calcium Supplementation on Pregnant Women met for four days in Dar es Salaam from January 22-25 2019 to exchange experience and discuss how best the project can be implemented in Tanzania. The partners from India, the US, Argentina, Switzerland, Nigeria and the host, Tanzania, were also taken to study sites in Tanzania – specifically public health clinics based in Dar es Salaam – to witness first hand how trials were being made in the actual settings. 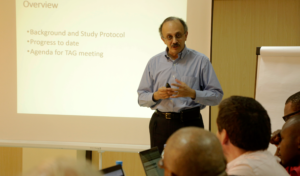 Ifakara Health Institute (IHI) hosted the event, including a Technical Advisory Group (TAG) meeting, on January 24 2019 at the Muhas conference hall. The partners discussed the Indian implementation approach and experience, where the study is already on, highlighting challenges and how best those challenges could be addressed when the project officially kicks off in Tanzania. The TAG members joined the meeting and provide their advice on the third day. The TAG members were drawn from the International Centre for Diarrhea Disease Research of India, Institute for Clinical Effectiveness and Health Policy (IECS) of Argentina, World Health Organization of Switzerland and Ondo State University of Medical Sciences of Nigeria.